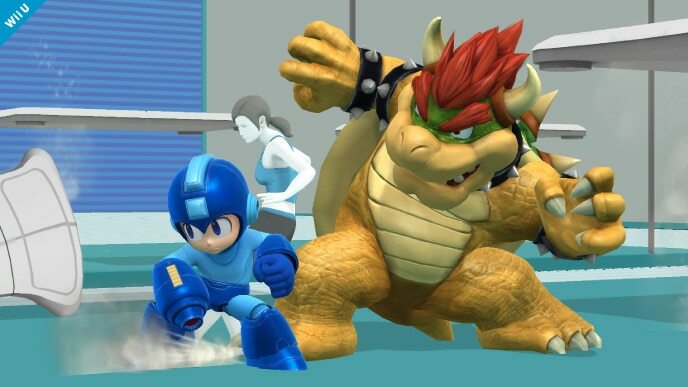 I have to warn you right now, we're spoiling two new playable fighters, so if you want to come into the new Smash Brothers totally clean well... good luck with that! 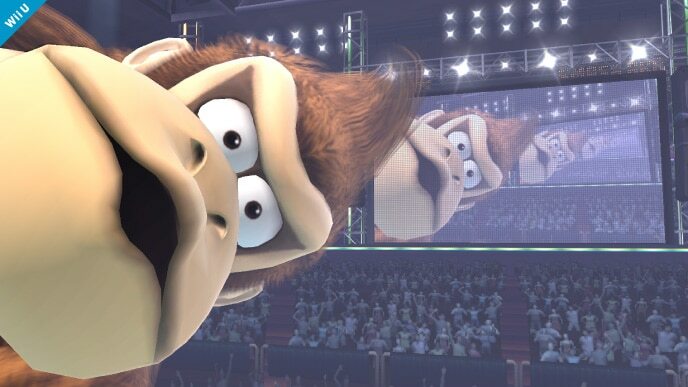 It appears that the Wii U version is going with a style closer to previous Smash Brothers games (but in glorious HD), while the 3DS version is shooting for a more cell-shaded style? 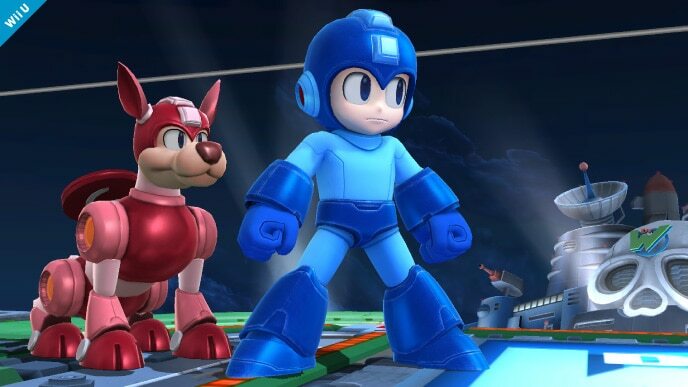 New to the roster are "Villager" from Animal Crossing and Mega Man from, well, Mega Man!!! Oh man. I can already tell you that the second one is going to be one of my main fighters. Check out the trailer below and stay tuned for more details! 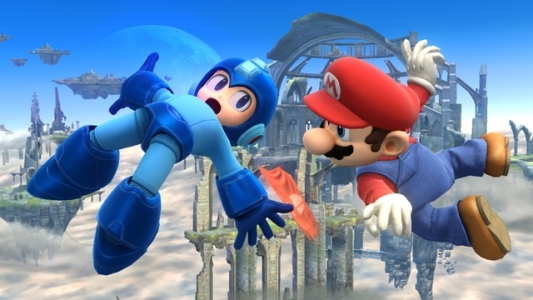 I guess Mega Man isn't in this trailer...is it the original Mega Man or the X version? He's also in the 3DS version! Looks fantastic. So long as online play is well done I am on board. Is it possible to get the full trailer in the OP? The one with Mega Man at the end? Oh, also, I AM SOOOOOOOOOOOOOOOOOOOOOO EXCITED! There is a Picture of Spirit Tracks Link on the Site too. He's in the Spirit Tracks train stage as a conductor in the 3DS version. I still stand by that being a Punch Out!! stage. The audience reminds me of a Punch Out!! audience (heck, even DK is in the pic ). Seven more spots? When you click on a character and go to the bottom where you can select another, there's seven open spaces. Hm, yeah. I just figured it's because they have "pages" of characters with 9 per page, and they'd gradually add more and more. At least, I certainly hope there're more than 18 characters in the game! Interesting note--there are 3DS screens of everyone (including Mega Man) but not Villager. Villager Wii U exclusive character? Seeing Megaman pop up at the end made me cheer, really thrilled he's jumping in! He's a perfect fit! I really hope they don't do exclusive characters. At the moment I see little reason to get the 3DS version, and exclusive characters is a cheap way of forcing people into both. Seeing old Mega Man in his old school glory with the epic MM2 theme playing and using Metal Blades just makes me all happy inside. 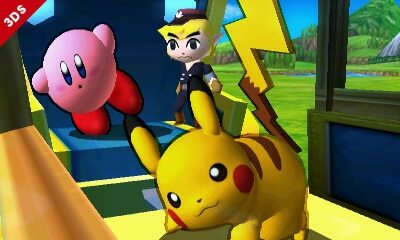 I really wish the graphics of the 3DS game were the Wii U game, it looks great and the perfect style for Smash Brothers! Unfortunately, the Wii U version looks like Brawl, except maybe not quite as dark, but still, it's way too sterile. 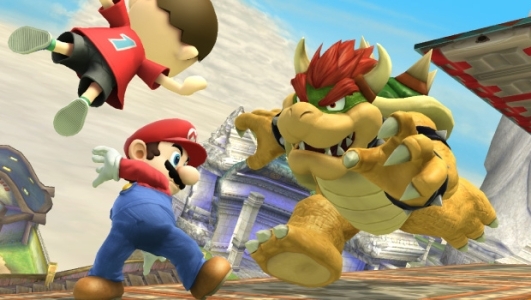 Plus, every stage looked like Brawl! I'm absolutely puzzled on why this game looks no better than Brawl. I was expecting something a lot more exciting, especially for a fighter. This should look amazing. Mega Man is cool and all but the Animal Crossing villager is a little snoozey. I hope Professor E-Gad is in there. He'd be a cool addition to the roster.